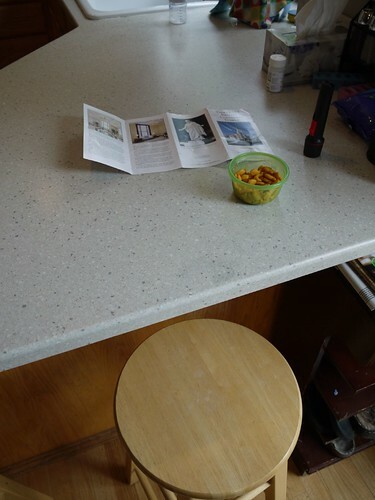 Earlier this morning, Bubbers was at the kitchen counter looking at the pamphlet from our trip to Canada’s new temple. My heart broke and melted all at the same time. He looked at me for a moment. “Daddy has the Priesthood?” he asked. “Yes, he does,” I answered. “Did he get it from Jesus?” he asked. 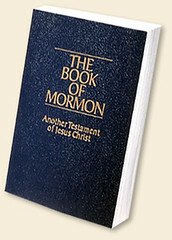 “Yes,” I answered and explained how Jesus gave it to Peter, James and John and how they had restored it to Joseph Smith. Then it had been passed down through righteous men to Daddy. We talked about how Daddy would be acting on behalf of Jesus, so it would be like Jesus was baptizing him. Bubbers was satisfied with my explanation and went back to munching his goldfish. As I watched him, I realized with a smile that for the first time in my life I had wanted the Priesthood, just so I could honor my son’s request and share that special experience with him. But I knew full well that life and the Gospel didn’t work like that, so I started mulling over some of the benefits of how God had organized it. I pictured Charming in my mind and suddenly, I was glad it would be him. The poor guy doesn’t get near as much time as he’d like with the kids. And he hasn’t had as many opportunities to share unique experiences with them, like I have. I get to make their little bodies and give them life. Nurse them and cuddle them. Teach them and nurture them all day every day. So, while I’m sad I can’t do something my son has asked of me. I’m really glad that Daddy gets the privilege of being the one. And I’m grateful that Bubbers asked me, so that I could realize that.